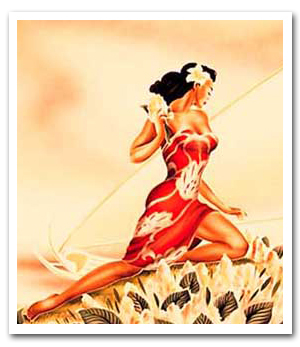 More than any other island in the chain, Oahu represents the cultural link between modern America and traditional Hawaii. While the highway into the capital city of Honolulu may look just like any other American thoroughfare, flanked by suburbs and humming with the non-stop flow of traffic, there is something different about the land on which it sits. The island's towering emerald-colored mountains, the pockets of air redolent with the scent of plumeria, and the bold waves crashing against the golden coastline give visitors a sense that these contemporary structures were superimposed upon a far more timeless backdrop. 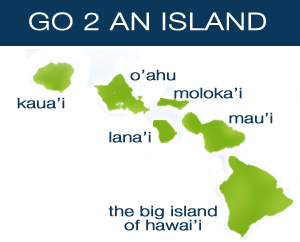 Appropriately nicknamed the Gathering Place, Oahu is the most developed island in the Hawaiian chain. 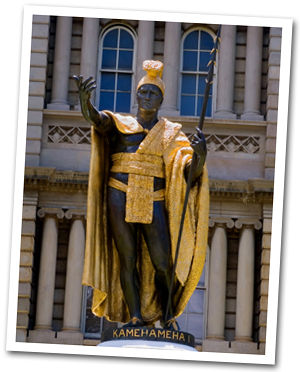 Close to one million people, more than 75 percent of the state's population, make their home on the island, and Honolulu holds the honor of being the U.S.'s 11th most populous city. 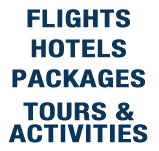 Honolulu is a bustling metropolitan area, and by no means the exclusive terrain of tourists. Probably one of the most racially integrated cosmopolitan centers in the country, the city has no one distinct ethnic majority, which makes for harmonious coexistence and an excitingly eclectic cultural calendar. Locals and tourists alike pack the sandy shores of Waikiki Beach, where the party seems never to end, and the dignified Diamond Head landmark is always visible in the distance. Come nightfall, the city really starts hopping: Honolulu's numerous restaurants are packed with diners, couples stroll hand in hand along Waikiki's moonlit waterfront, and club-hoppers get ready to paint the town red. Of course, a whole other world exists outside of Honolulu. 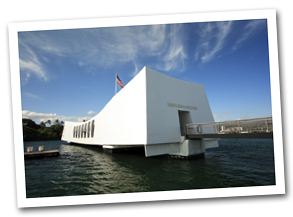 Just beyond town is the historic Pearl Harbor, where it is possible to visit the World War II veteran warship USS Arizona. 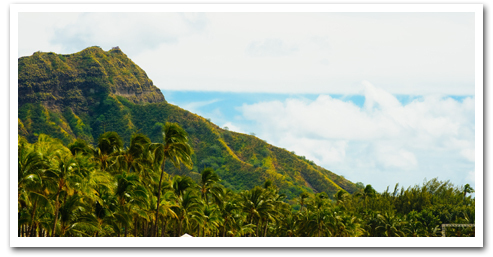 A drive over the Pali Highway takes you through the wrinkled folds of the spectacular Koolau mountain range and past the lavish summer palace of Hawaii's 19th-century Queen Emma. Oahu's Windward Coast is dotted with picturesque working farms, and the northeasterly trade winds here are ideally suited to sailing. Synonymous with surfing, the North Shore boasts some of the world's biggest waves and is also home to gorgeous Waimea Falls Park. 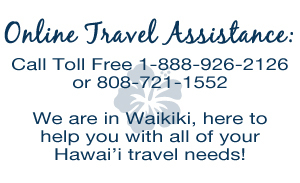 Oahu offers visitors an endless variety of vacation options. 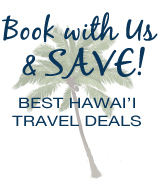 Whether you wish to soak up culture in one of the island's many museums, soak up the sun on your choice of exquisite beaches, hike through a rain forest, snorkel among opalescent tropical fish, or taste spectacular cuisine in Honolulu's colorful Chinatown, this remarkable island is well equipped to suit your every fancy.